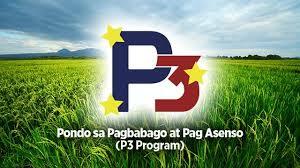 Senator Aquilino “Koko” Pimentel III filed on September 19, 2018 a Senate Bill that will institutionalize the Pondo sa Pagbabago at Pag-asenso (P3) Program to further strengthen the landmark micro loan program of President Rodrigo Duterte that will provide relief to micro enterprises through alternative source of financing. The Senate Bill No. 2017 or “An Act Providing a Socialized Microfinancing Program for Micro Enterprises Thereby Promoting Entrepreneurship” aims to address financing concerns of micro enterprises throughout the country and help them sustain their businesses. Trade Secretary Ramon M. Lopez welcomed the news, saying it will further ensure funds are made available for micro enterprises to veer them away from onerous loans, particularly the “5-6” money-lending system. “This is another milestone as we continue our drive to empower our MSMEs and alleviate poverty. Through this bill, we will be able to assist more entrepreneurs to have easy access to P3 loans that come in one-form, one-day processing, and don’t require any collateral, especially those in the countryside,” said Sec. Lopez. On the other hand, Small Business Corporation (SB Corp) President and CEO Ma. Luna E. Cacanando said the filing of the Senate Bill will strengthen the Corporation’s mandate and will greatly contribute to the development of micro enterprises, which comprises the bulk of the micro, small and medium enterprise (MSME) sector. Micro enterprises account for 90% out of the 99.6% from the MSME sector. As the financing arm of the Department of Trade and Industry (DTI), SB Corp is tapped as the lead implementing agency of the P3 Program and is tasked to handle the fund delivery through direct lending to micro enterprises, wholesale lending to conduits that on-lend to micro enterprises. Likewise, the House of Representatives in June 2018 also adopted a bill that will establish P3 Program as an affordable and easy access alternative source of financing for micro enterprises. Under House Bill No. 7446 or the "Pondo sa Pagbabago at Pag-asenso" or "P3 Act," the House of Representatives seeks the creation of the “Pondo sa Pagbabago and Pag-asenso” or the P3 Fund, which will be made available for beneficiaries such as market vendors, agri-businessmen and members of cooperatives, industry associations, and cooperators. As of September 9, 2018, the P3 Program has assisted over 50,000 micro enterprises throughout the country with a total of P1.5 billion of released loans. Under the P3 Program, a micro enterprise can borrow between P5,000 up to P200,000 depending on its business need and repayment capacity with no collateral requirement. Interest rate and service fees, all in, do not exceed 2.5% monthly. The P3 Program serves as an alternative to the P30 billion “5-6” money lending industry that charges 20% nominal interest rate to MSMEs. “We thank Sen. Koko Pimentel for sponsoring this bill in the Senate and being our partner in strengthening the MSME sector,” said Sec. Lopez.